All the legal stuff you need to know to hunt in the Big Bend! The Do’s & Don’ts of hunting aoudad. A quick rundown of the laws and regulations of hunting aoudad sheep. 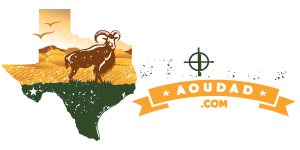 You MUST possess a valid, current hunting license issued by the Texas Parks & Wildlife to hunt aoudad in the state of Texas. For residents, this is a type 101 license and the cost is $25. For non-residents (out of state hunters) the license is a type 157 – 5 day special hunting license and the cost is $48. Aoudad are considered an exotic species by the Texas Parks & Wildlife. There is no bag limit or possession limit. There is no closed season on exotic animals on private property in Texas. We do have Desert Bighorn Sheep out here. So you must always confirm what you are shooting. As it is illegal to shoot a Bighorn Sheep. There is almost no public land to hunt on in Texas. You will be hunting on private land. Which is one of the many reasons we guide you – to ensure you stay on the correct land. Are you Ready? Book now to ensure your spot!